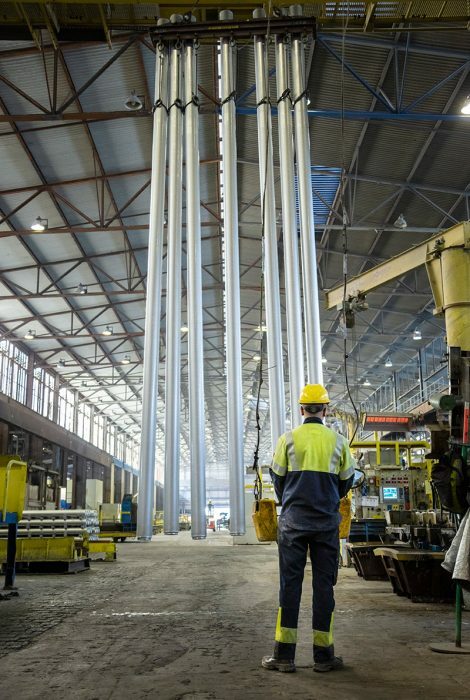 Product | ALDEL - Damco Aluminum Delfzijl Coöperatie U.A. Aluminium is an extremely light material. That alone offers major advantages over materials such as steel which is three times heavier. That is why more and more aluminium is being used in the automotive and aerospace industry. The car is a good example, as manufacturers are increasingly using aluminium in the engine block, the fuel pump, the radiator, the wheels and the bodywork. Opting for aluminium yields major benefits, also in the environmental area. Using 1 kilo of aluminium in a car, for instance, can save 2 kilos of steel. That helps to reduce the weight of cars, and since lighter cars use less fuel, fewer pollutants are emitted into the atmosphere. Aluminium lends itself well to recycling. When a car is scrapped, virtually all of the released aluminium can be used again. ALDEL has since gained many years of experience in the recycling of aluminium in its production processes. Recycled materials are being used more to further optimise our production processes and improve energy efficiency. Unlike gold and silver, aluminium is not found in the soil: we have to make it. Bauxite, the principal raw material for aluminium, is however found in the soil. Bauxite is used to make alumina (aluminium oxide). The alumina arrives in Delfzijl by ship from countries such as Ireland. A silo for the storage of the alumina is located on our site. Aluminium production is based on the electrolysis process. This process involves using electrical current to split the alumina. That releases liquid aluminium. There are 304 electrolysis furnaces, each almost a kilometre in length, in two long factory halls. These furnaces are fireproof brick-clad steel containers, which are built into the factory floor. The furnace is filled with liquid electrolyte (a salt solution containing fluorine) in which we dissolve alumina at 960 degrees Celsius. Carbon electrodes (anodes) in the furnace are used to send some 140,000 amperes of current through the solution. The alumina splits off and the aluminium sinks to the bottom of the furnace. The anodes are gradually incinerated during this process, so we regularly need to replace them. Carbon dioxide (CO2) is released when the anodes are incinerated. Once every two days we extract the liquid aluminium from the bottom of the furnaces. We then take it to the foundry in transport ladles. The metal is then poured into the holding furnaces. This liquid aluminium does not yet meet our customers’ requirements. We first have to clean it and add other materials to give it the right quality and properties. Blending the aluminium is very precise work. Even the smallest deviation has implications for the quality of the product. After blending and cleaning, we check the composition in our laboratory. If the composition is right, we can cast the aluminium. We then cast the liquid aluminium into extrusion billets and rolling ingots in our vertical casting machines. We quench the liquid aluminium with water, which leaves solid aluminium in the mould. To improve the structure of the end-product, the extrusion billets and in some cases the rolling ingots are given a special heat treatment. After that the products are checked against the quality requirements specified by the customer. If that is correct, the products are cut to the desired length and prepared for delivery. 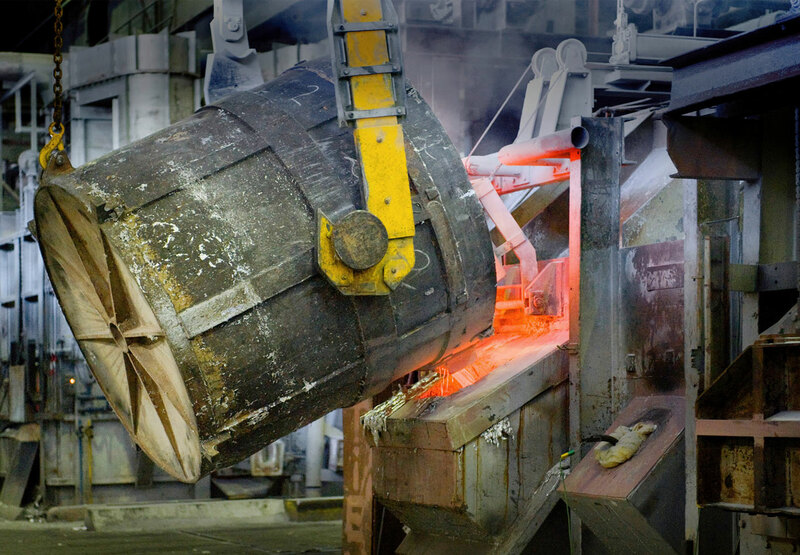 Our customers process the rolling ingots and extrusion billets produced by ALDEL into products that are used in cars, aircrafts, trains and ships. It is also used in construction applications such as window frames and profile sections. 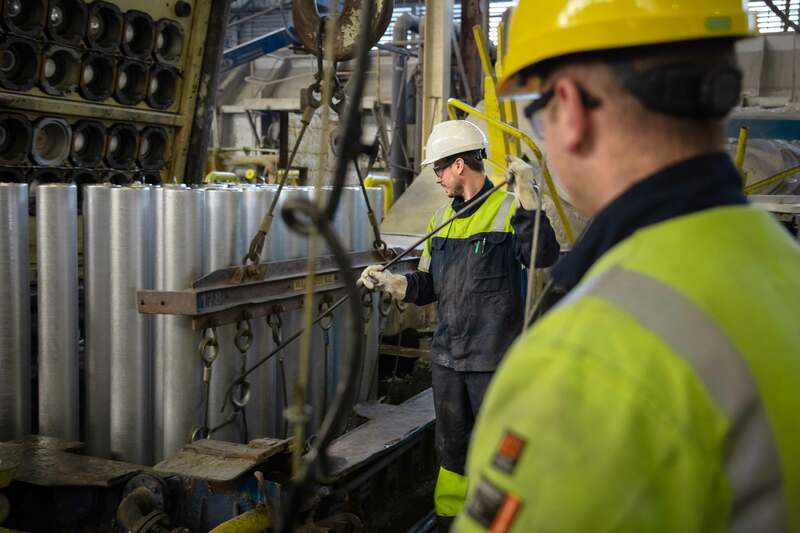 Each year we produce some 110,000 tonnes of new (or primary) aluminium. We make another 50,000 tonnes by remelting purchased aluminium, including scrap. These finished products are usually transported to our customers by lorry or barge.